By Yury Averkiev, Program Manager, Parallels, Inc. In Q3’15 Microsoft announced the release of a faster update and upgrade cadence for System Center Configuration Manager (SCCM). The more frequent release cadence is meant to align SCCM’s core PC management functionality with the accelerated release cadence of Windows 10. The Parallels Mac Management development team is committed to providing support for the latest and greatest SCCM releases. We try to ensure that each Parallels Mac Management release is of the highest quality possible. But once in a blue moon, we need to release a hotfix that fixes those pesky bugs. 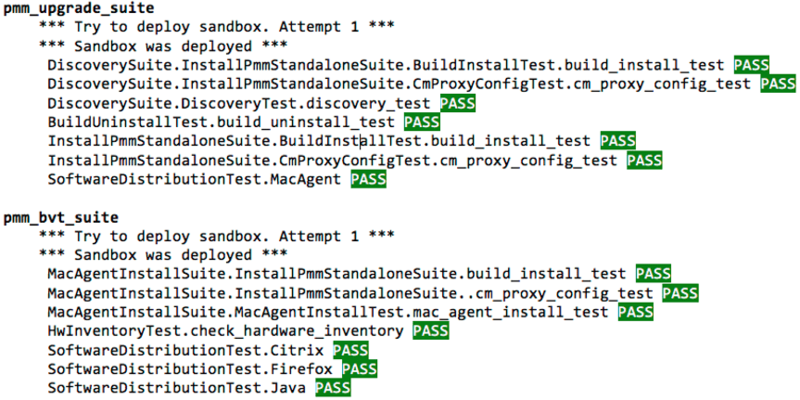 However, there has never been a bug that was related to a compatibility problem between a Parallels Mac Management build and a new SCCM release. In the unlikely case there is a compatibility issue between Parallels Mac Management and an SCCM update, we are committed to providing a fix to the issue within 30 days of an SCCM update general availability release date. So go ahead and install that latest SCCM release—just make sure that you have tested everything in your lab first! Have any questions about Parallels Mac Management and Microsoft System Center Configuration Manager (SCCM)? Comment below, or reach out to us on Twitter and Facebook!